Snapchat looks like the most confusing app ever created for almost anyone over the age of 15 (some would argue 13). The app eschews nearly all the tenets of app design and graphics and has still managed to become the biggest social network in the enviable 13 to 25 (years old) demographic. With over 100 million daily active users and growing every passing day, the app has already replaced market leaders like Facebook in many regions, especially the United States. Snapchat’s popularity comes from its impermanence. “Snaps” last for only a few moments and for a generation growing up to the permanence of the internet and everything you put on it, this ephemerality of putting content on Snapchat is a very attractive proposition. While Snapchat’s flagship feature continues to be its ability to post mobile video, it is increasingly being used as a marketing tool by leading brands like McDonald’s, Nike, and CocaCola to publish ads disguised as content (albeit “branded”). While the majority of Snapchat’s users continue to come from the 13 to 25 demographic, heretofore referred to as “young people”. Since most big brands and media platforms are eager to take a crack at this new-fangled social media that is taking the world by storm, it is appropriate to take a minute to learn the finer details about Snapchat. Take a look. While Snapchat calls its photo and video editing features that overlay graphics and other elements onto your content “Lenses,” the app’s users almost unequivocally prefer the general parlance “Filter.” Filters are really what sets Snapchat apart from its competitors since the ability to modify video by, for instance, replacing your nose with that of a dog is something that is both entertaining as well as a remarkable feat of engineering. 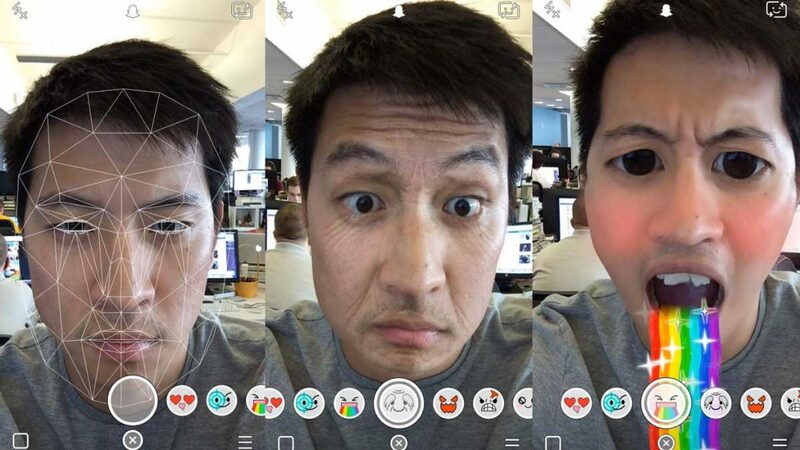 To use a filter, just press and hold on any face in the video and you will see the app recognize the face and offer you a series of available filters at the bottom. Take your pick. 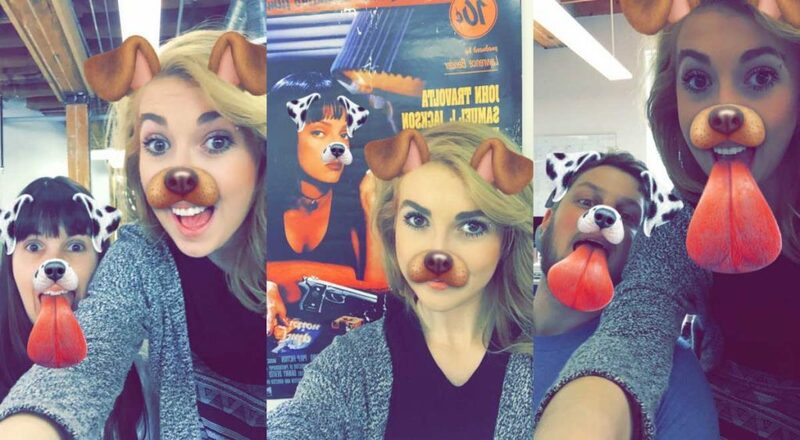 You can use multiple filters on one snap, although the choices you get are significantly limited when doubling down. You can do this by selecting the first filter as usual and then, while holding one finger to the screen using another finger to cycle through the other filters. This is a little cumbersome, to be honest, but is probably worth the additional hassle of using two filters at once and infuriating the hell out of your friends who have not yet figured this trick out. 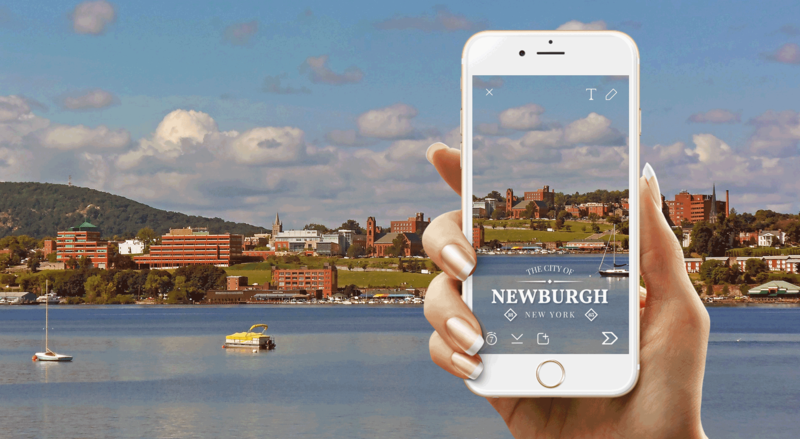 Snapchat really wants to drive the “ephemeral” point in by swapping in new filters for you to use every day. That also means that if you particularly liked a filter and used it on a snap yesterday, you might not find it there today. Fortunately, you can trick Snapchat to getting previously featured lenses by changing the date on your device’s system settings. Use the appropriate option on either iOS or Android and uncheck “Update date and time automatically” or any similar feature. Now you can change the date of your device back to one when the filter of your choice was available. Open the Snapchat app and snap your way to glory. However, do change the date back to the proper one after you are done posting since having incorrect dates can cause problems in other apps or your internet browser. You can easily switch between your device’s main camera and its front camera by simply double tapping the camera viewfinder. The absence of a dedicated “switch” icon or button has often been a cause of significant confusion with Snapchat’s users so this is a handy shortcut if and when you know of its existence. 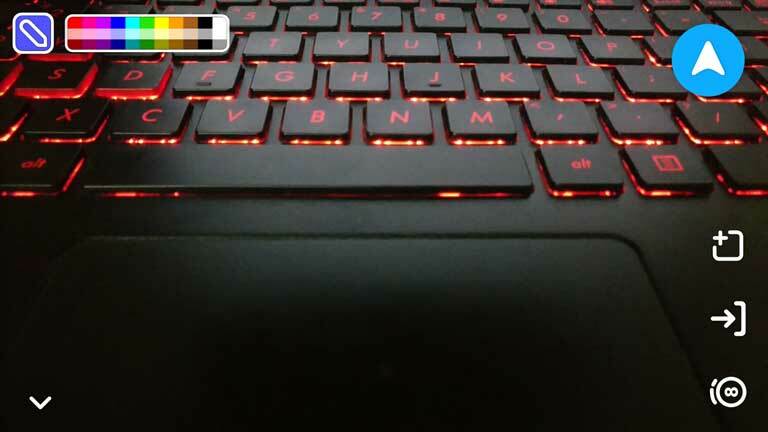 Since the majority of content on Snapchat is posted using the comparatively inferior front camera of your device rather than the main (backward facing) camera, users have complained of low quality images for a long time. Snapchat has tried to rectify this issue by automatically activating a “night mode” in the camera when it detects poor lighting. However, this option can be forced by covering the camera lens and the light sensor on your device after opening the Snapchat app. You can verify that night mode is activated by the half-moon icon on the display. Using this night mode can result in brighter images on the app. You can alternatively capture better snaps using your front camera by turning on the front-flash even without having one. How? By simply tapping on the flash icon. When you are using your rear camera and tap on the flash icon, it’ll turn on your phone’s flash light. But, if you are using your front camera and tap on the flash icon, it’ll temporarily change your screen to white with full brightness. Simultaneously, it will also capture a photo using your front camera. All this happens in an instant and without having a front-flash, you get to use one. After you have completed your photo or video you can customize it by doodling on it. You can use emoji, add text by typing it in, or simple scribble on the screen using your fingertip. Do this by tapping on one of the three icons on the top right of the screen. When using the “pen” mode to scribble on the screen, you get only a few color choices to work with. However press and hold on the color palette and you can expand the palette to having a lot more control over the particular shade you want to use. If you want to place a doodle in a particularly hard to reach or on a small feature on your image or photo, you need simple enable the ability to zoom in on your image. While this is certainly not a core Snapchat feature as far as “features” go, it is more of an associative effect that arises out of the accessibility settings of your operating system. 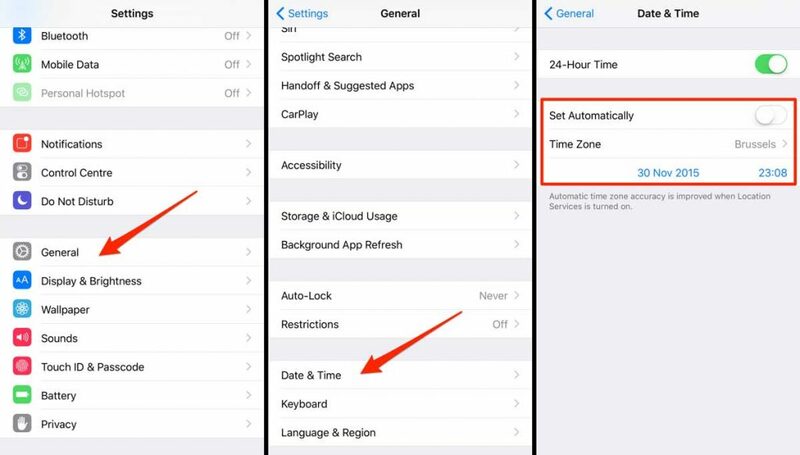 Use the “Accessibility” settings in “Settings” on Android or “Settings >General” in iOS and choose the appropriate option to turn on the ability to zoom in and you are done. #8 How to Fit More Text in Your Snaps? 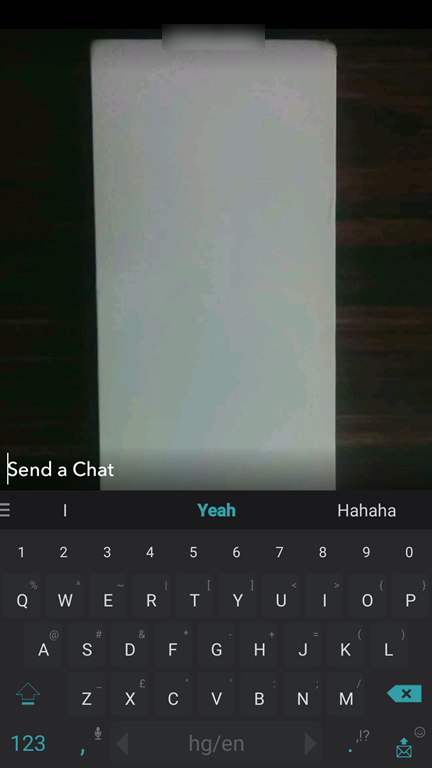 Snapchat limits the number of characters you can put in text bars on a snap. Thankfully, there is a way to circumvent it for situations where you might want to fit a greater amount of text on a snap. Just open any note taking app on your phone and type in some spaces. Select this “blank text” and copy it. Open Snapchat and paste this blank text in the text zone to get a much larger text spread. 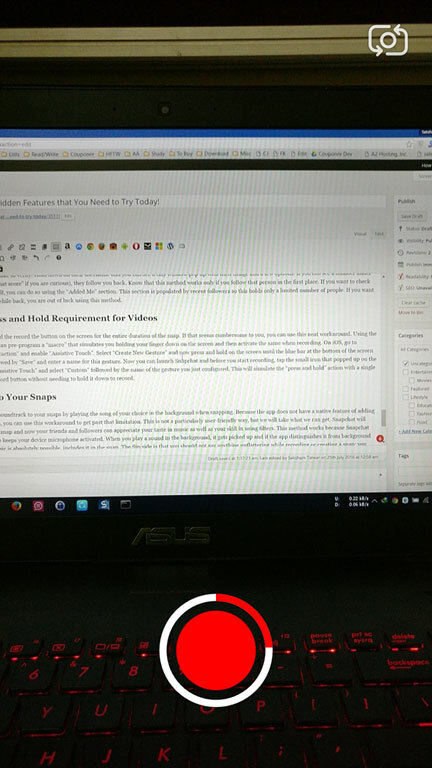 Now you have to manually move the cursor to the position you want and type in your required text. You cannot replicate this trick by copying a longer text string and trying to paste it. Because Snapchat is a very visual platform, it is guaranteed to be heavy on data. While it might not matter when using your home Wi-Fi connection, using it on your mobile data can quickly exhaust your data caps or rack up a giant bill that is definitely not worth those entertaining snaps. 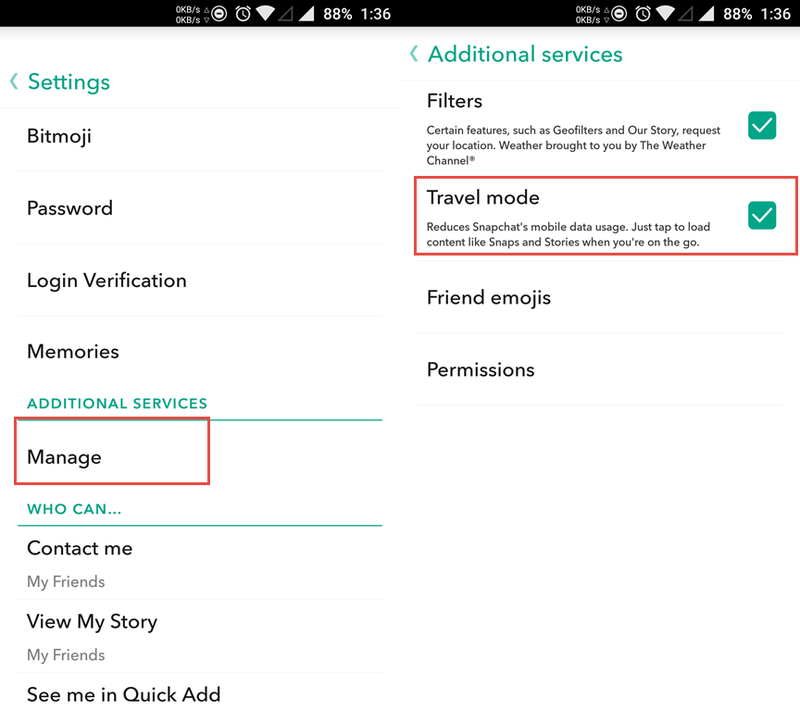 Thankfully, you can enable Snapchat’s inbuilt “Travel Mode” by heading to “Settings > Manage (Additional Services)” and check the box next to Travel Mode. Now Snapchat will use less data by not loading snaps automatically. You need to manually tap on the content to make them load. “Stories” is a new feature introduced by Snapchat when it became obvious that it was really impossible to disseminate anything of significance within the time span of 10 seconds. 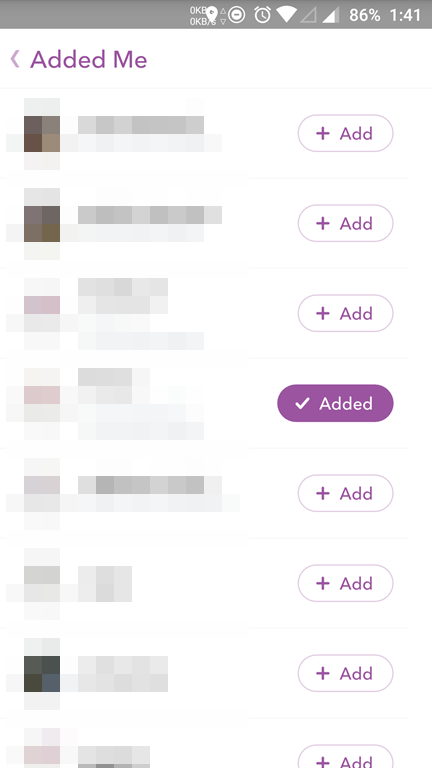 Snapchat “Stories” are content that remains accessible for 24 hours. You can convert a regular snap into a Story by tapping on the “Plus” icon in the lower left. However, you can also reply to Stories by your friends by just swiping up from the bottom when viewing a story. Again, like the camera switching shortcut, this feature can quickly become second nature if and when you discover it. The absence of traditional menus and icons introduces a fair level of user-unfriendliness to the app but when you get the hang of it (or have someone in the know show it to you) it can significantly speed up the way you use the app. The “Story” feature, coupled with the newly introduced “Discover” feature really betrays Snapchat’s intention to position their platform as a tool for big brands to use for advertising their products, brand, and services, demonstrated by the recent Nike campaign that offered users a behind the scenes look at the shooting of a television advertorial by a renowned sportsperson. Ads on Snapchat are no longer even distinguishable from legitimate content at a glance. 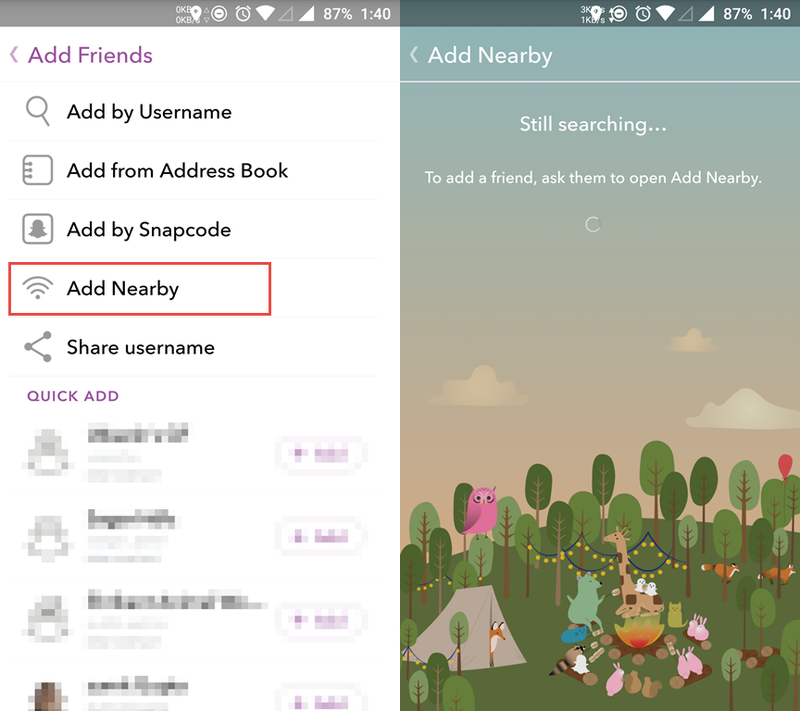 While this definitely is a fair bit creepy if not reciprocated, you can find people on Snapchat by using the location feature that is included with all and any snaps you post. Most useful more those drunken party scenarios where you remember that you had a great time but do not necessarily remember the name of the person, swipe down from the main screen to bring up your profile and select “Add Friends > Add Nearby”. This shows you a list of people in your geographic proximity and you can now probably guess who it was that you hooked up with last night. While this does represent a potential privacy nightmare, this feature does exist if you want to take particular advantage of it. It also serves as a reminder of just how much data we freely give up to the internet when we use social media, a fact that many privacy advocates have continuously referred to in the past. In technology parlance, “metadata” might be the time you post, the people you “tag” in your posts and the geographic location data that is embedded in your post; this “metadata” is the same thing that is “generated” when a private detective follows you around in real life. They might not necessarily get to know the content of a conversation, but they can damn well tell to whom you talked and how long. Sound familiar? Yes. Scary? Definitely! #12 Who Followed Me Back on Snapchat? Find Out! The holy grail of social media (and life in general possibly) is finding a subtle way of displaying reciprocation. Snapchat does this by being really, really subtle about it. Select “Add Friends > Add by Username” to find someone you would like to verify. Hold down on their username and you can see a tiny window pop up with their image and a few options. If you can see a number under their profile picture (it’s called the “Snapchat score” if you are curious), they follow you back. Know that this method works only if you follow that person in the first place. If you want to check without necessarily following them yourself, you can do so using the “Added Me” section. This section is populated by recent followers so this holds only a limited number of people. If you want to check on someone who followed you a while back, you are out of luck using this method. 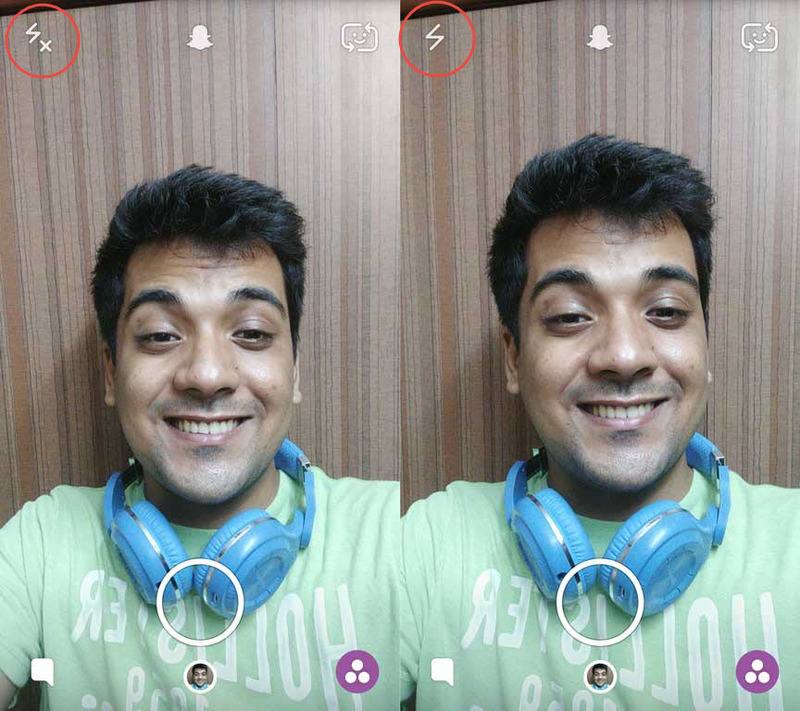 To snap a video you need to press and hold the record the button on the screen for the entire duration of the snap. If that seems cumbersome to you, you can use this neat workaround. 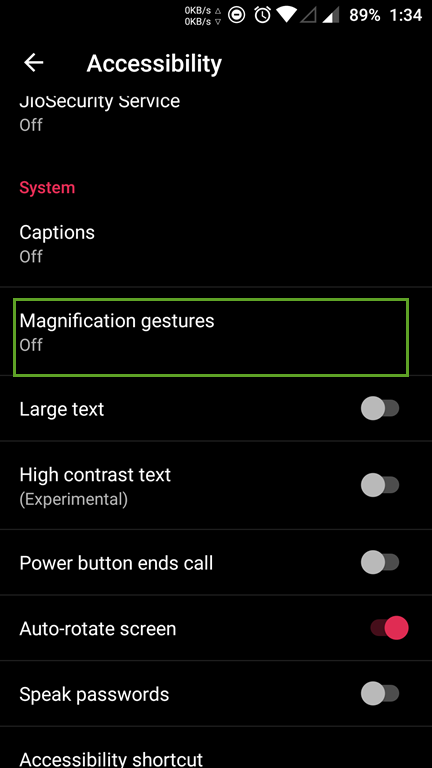 Using the accessibility settings on your device, you can pre-program a “macro” that simulates you holding your finger down on the screen and then activate the same when recording. On iOS, go to “Settings > General > Accessibility > Interaction” and enable “Assistive Touch”. Select “Create New Gesture” and now press and hold on the screen until the blue bar at the bottom of the screen is filled up completely. Select “Stop”, followed by “Save” and enter a name for this gesture. Now you can launch Snapchat and before you start recording, tap the small icon that popped up on the right of your screen when you selected “Assistive Touch” and select “Custom” followed by the name of the gesture you just configured. This will simulate the “press and hold” action with a single touch and now you can simply tap the record button without needing to hold it down to record. This is a bit of a cheat but you can add a soundtrack to your snaps by playing the song of your choice in the background when snapping. Because the app does not have a native feature of adding sound separately in your snaps or Stories, you can use this workaround to get past that limitation. This is not a particularly user-friendly way, but we will take what we can get. Snapchat will automatically include that sound in your snap and now your friends and followers can appreciate your taste in music as well as your skill in using filters. This method works because Snapchat being a platform focused on mobile video keeps your device microphone activated. When you play a sound in the background, it gets picked up and if the app distinguishes it from background noise, which in the case of deliberate music is absolutely possible, includes it in the snap. The flip side is that you should not say anything unflattering while recording or creating a snap; you don’t want to let everybody to know what you really say when you think no one is listening, do you? You can customize the hell out of a video snap or Story by switching lenses while your video is recording. Simple swipe along the list of filters and your video will be customized accordingly. This comes with a caveat that if you want to use select filters, you are out of luck since the filters show up one after the other. You can only ever go back and forth between two or keep on cycling to get new filters. If you are feeling the need to show off your creative side, you can create a narrative and distinguish different characters by different filters. This way, you cannot show a back and forth conversation between three people because you cannot go back to filter number 1 from 3 directly. You either need to structure your scene so that characters always appear in synchronization (1 after 2, 2 after 3, or 2 after 1, etc.) or you can simply make a snap where every new filter represents a new character. A little trick for the budding story teller that can be used to extreme effectiveness and create some really engrossing and interesting videos on the platform. So there you have it folks: 15 tips and tricks in Snapchat that you probably did not know about. Snapchat is growing at a breakneck speed; it has to if it has any intention of retaining its extremely profitable user demographic. With tons of new features being rolled into Snapchat so frequently, it is virtually impossible to keep track of all the different things you can do on the platform. The talented engineers are always hard at work in building the next big thing, and when we finally find it, you can be sure we will let you know!